Google Earth for Mac puts a planet's worth of imagery and other geographic information right on your desktop for Mac OS X users. using Google Earth for Mac, you can view exotic locales like Maui and Paris, as well as points of interest such as local restaurants, hospitals, and schools. Google Earth for Mac combines satellite imagery, maps, and the power of Google Search to put the world's geographic information at your fingertips. ...... Google Earth for Mac combines satellite imagery, maps, and the power of Google Search to put the world's geographic information at your fingertips. With Google Earth for Mac the Mac OS X users can fly from space to your neighborhood--just type in an address and zoom right in, search for schools, parks, restaurants, and hotels. Get driving directions, tilt and rotate the view to see 3D terrain and buildings, save and share your searches and favorites and even add your own annotations. 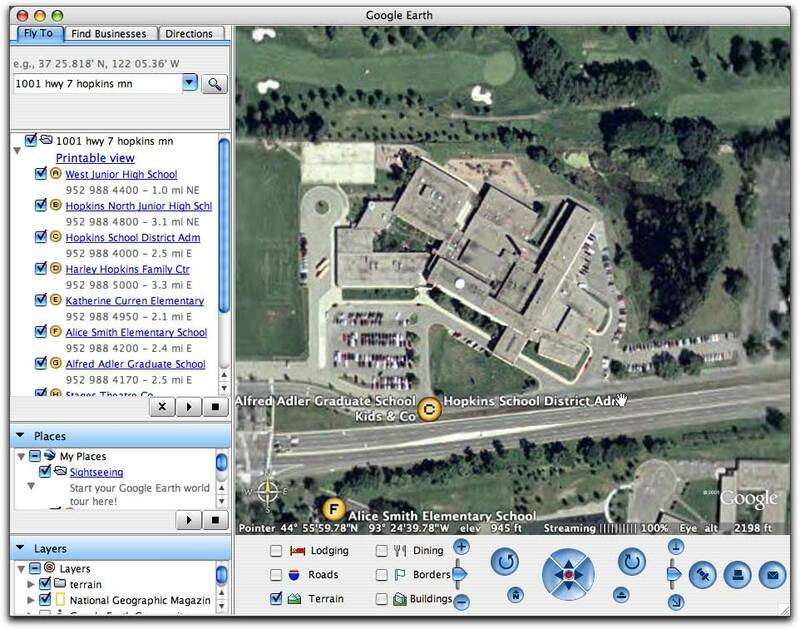 If you are Mac OS X users, why not download Google Earth for Mac? enjoy it now! Qweas is providing links to Google Earth for mac 6.2 as a courtesy, and makes no representations regarding Google Earth for mac or any other applications or any information related thereto. Any questions, complaints or claims regarding this application Google Earth for mac 6.2 must be directed to the appropriate software vendor. You may click the publisher link of Google Earth for mac on the top of this page to get more details about the vendor.